Toothaches are one of the most common physical ailments that plague people and they’re often indicators or symptoms of a wide variety of potential health conditions or problems. That’s why you should never simply ignore a toothache or underestimate its significance. Whether you experience a sudden pang of unusual pain or minor sensitivity, you should always get it checked out a dental clinic in Etobicoke in order to ensure early detection and treatment of any potential underlying medical or dental issues. A toothache is any pain or discomfort you feel in or around one or more of your teeth and sometimes around your gum line. This physical phenomenon could be a symptom of an undiagnosed medical problem or a dental problem and you should get it examined by either a dentist or medical professional as soon as possible to rule out potential illnesses or infections. The faster you get a toothache checked out by your dentist, the faster they can figure out what’s causing it and begin the appropriate treatment. What Should You Know About Toothaches? There are a few things you should know when it comes to experiencing toothaches. Far too many people underestimate the potential severity of toothaches and simply write them off as a minor pain or inconvenience rather than seeking appropriate medical attention. Generally speaking, toothaches typically signify the possibility that you may have a cavity, which can be a minor issue. However, cavities are tiny holes in your teeth and if they’re left untreated for too long, they can eventually expand and become infected. Once a cavity expands to the point where the root of the tooth becomes exposed, not only could the pain be unimaginable, but you might also have to undergo an emergency root canal. On top of that, if you develop an abscess in one or more of your teeth, then this can easily spread to other parts of your body including major organs such as your brain or heart. While this is rare and only affects a tiny portion of the population, it is possible and a reason to get your toothache diagnosed without a long delay. As mentioned, the most commonly known cause of a toothache is having a cavity. Other causes can include fracturing a tooth, an abscessed tooth, damaged a filling, bruxism, chewing too much gum, or even infected gums. Wisdom teeth can also cause a great deal of pain as they pierce through the gums. In some cases, they may grow at an angle and push against other surrounding teeth or nerves within the mouth, causing a great deal of pressure, which can lead to infection. However, most people fail to realize that sometimes there isn’t an obvious reason for having a toothache. Sometimes, toothaches occur as a result of what’s known in the medical community as chronic or referred pain. As the name suggests, referred pain occurs as a result of an unknown, undiagnosed, or untreated dental or medical condition somewhere else in your body. The purpose of this type of pain is to alert you to the fact there’s something wrong. Your body contains a close-knit community of sensory nerves that are intertwined with one another and whenever there’s something amiss with your health that you’re not necessarily aware of, these nerves send signals (inexplicable pain) throughout your entire system to let you know that there’s a potentially serious issue that needs immediate attention. In other words, you can think of referred pain as a code red alert signal issued by your nervous system. Since there are a lot of nerve endings located in your mouth, toothaches are often a form of referred pain from other areas of the mouth or other parts of the body. When Can a Toothache Become a Serious Issue? 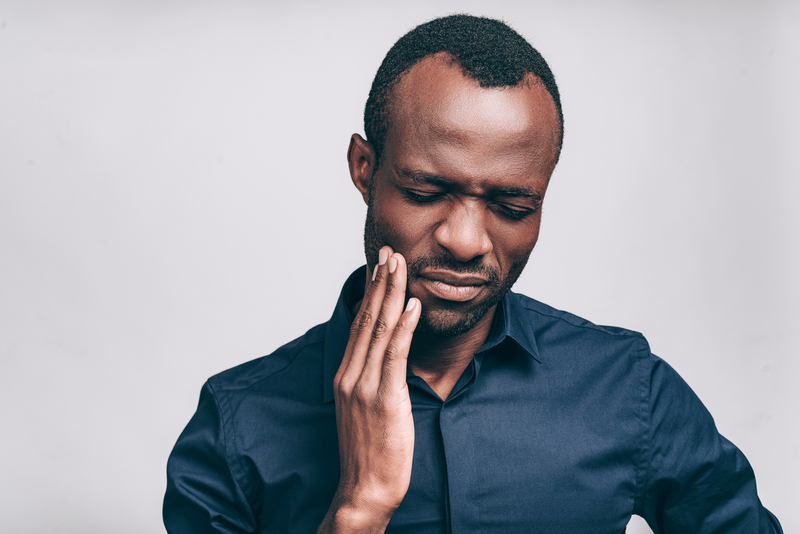 A simple toothache can quickly develop into a serious medical issue if it’s left untreated for too long and the pain becomes too severe to handle. Of course, you should try to seek medical or emergency dental care before it ever gets to this extent, but the reality is that most people tend to ignore minor aches and pains until they become more severe. At this point, it may be too late to apply a simple treatment or preventative measure as the source of the pain usually worsens over time and more intense treatment may be required depending on the nature of the condition at hand. If you start to notice other symptoms in conjunction with the pain in your teeth such as blisters in your mouth, red and inflamed gums that bleed when you brush your teeth or floss, small lumps on your gums or on the inside of your cheeks, or even if your sinuses feel blocked, you should seek immediate attention. These symptoms could correspond with a variety of oral cancers and serious cranial or cardiac conditions that should be treated as soon as possible. When Should You Seek Medical Care for Your Toothache? The short answer is that you should always seek medical care for a toothache, even if you simply relegate it to a minor pain or discomfort. As mentioned, even a minor toothache is your body’s way of trying to communicate that there’s something wrong and further investigation may be required in order to find a feasible and appropriate solution to the problem. Toothaches typically don’t dissipate on their own; in fact, the longer you leave them untreated, the more the pain will intensify, and this will inevitably have a negative affect on other aspects of your body and wellbeing. Princeview Dental Group has been offering dental care treatments in Etobicoke including in-depth teeth cleaning, checkups, and toothache relief for more than 20 years. Located in the heart of The Kingsway neighbourhood, our professionally trained and experienced staff are well equipped to administer dental emergency service for patients from Etobicoke, Toronto, and other parts of the GTA. To book an appointment with us, please contact us.